Starting GPS Co-ordinates: N51 07' 70" W000 71' 20"
Finishing GPS Co-ordinates: N51 08' 10" W000 70' 80"
We drove this pretty short byway from its southern end, leaving the Hampshire/Surrey border northwards from Bell Vale Lane at Stedlands Farm, after passing a truly astounding bamboo thicket. It's gone bananas, completely out of control, and the Environment Agency really should clear it before it takes over the entire valley! After a very short distance on the tarmac this byway begins in earnest. The surface changes to a muddy one with a central washout, but as this lane is evidently little used it is in pretty good condition. 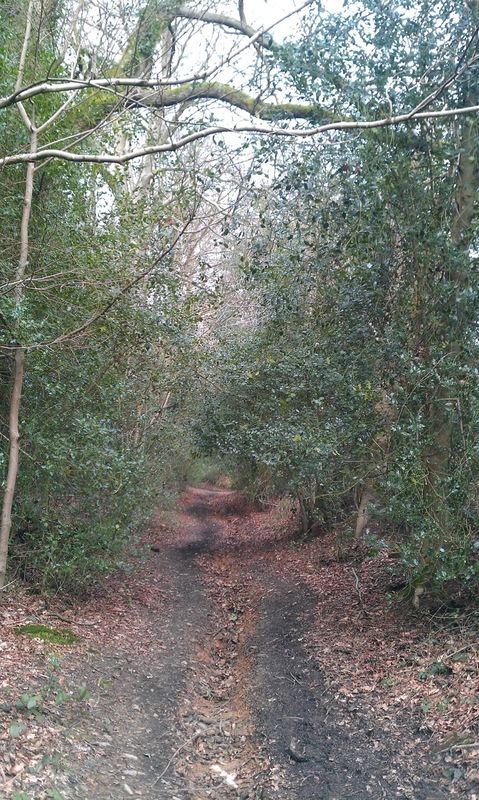 However, the same cannot be said of the general condition of the undergrowth on either side: it is possible to force a way through the holly without much effort but scratches on the paintwork are a guarantee. The track climbs steeply uphill and after a gentle turn to the right the foliage really closes in. Most of it is untrimmed overhang from the gardens that border the green lane, with laurel and rhododendrons being their particularly aggressive and invasive selves. 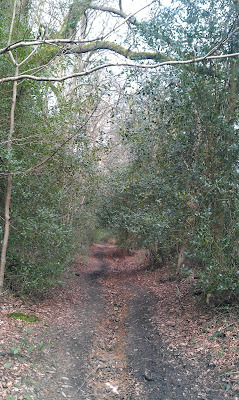 As the byway ends up on Scotland Lane this foliage shields the view to either side and you have to edge your way out into the road a fair way in order to see if the path is clear, so do take care (or a Haslemere resident in a Smart car will shake his head at you in terror!). Not really worth going out of your way for, and not really worth it even if you pass by, this green lane (Waverley Byway 104 to Surrey County Council) has little to recommend it.